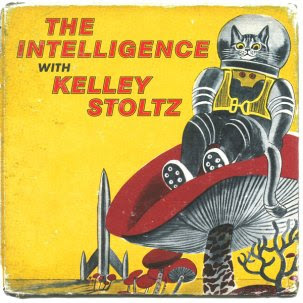 ‘(They Found Me In The Back Of) The Galaxy’ 7″ single (b/w ‘Lake Of Dracula’) was just released as a preview for The Intelligence’s upcoming “Everybody’s Got It Easy But Me” album via In The Red, they teamed up with San Francisco singer / multi-instrumentalist Kelley Stoltz (The Sonny & The Sunsets) on that song. Pressed in an edition of 600 – the first 200 on yellow vinyl. 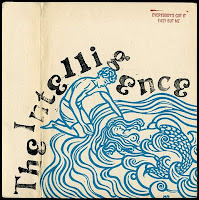 The Intelligence are the brainchild of Lars Finberg (formerly of A-Frames, currently of Thee Oh Sees and Wounded Lion). 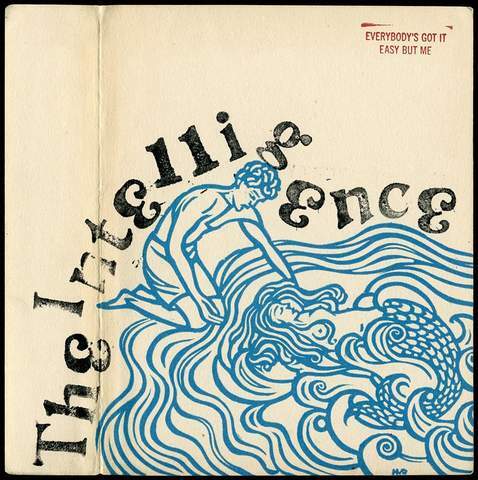 Around since 1999, The Intelligence has to date released seven singles, five split singles, two EPs, seven albums and have made eight compilation appearances. They join the ranks of hyper-prolific artists like Thee Oh Sees and Ty Segall in the impossible-to-stay-on-top-of department.